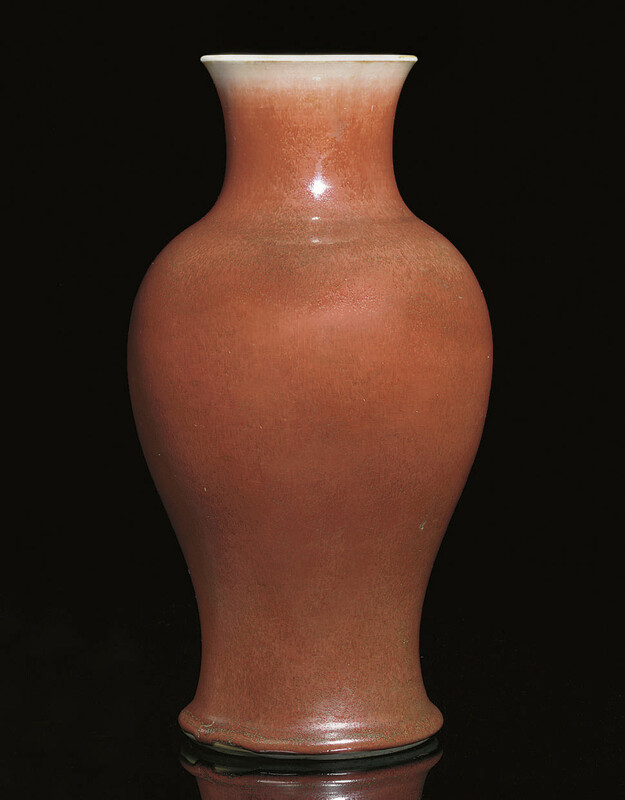 the ovoid body with spreading foot and flaring rim, covered in a deep red glaze thinning to a pale mushroom to the rim, the interior and base with greyish toned glaze -- 12½in. (31.8cm.) high.